Gaga’s “Joanne,” which was released in October, climbed more than 60 spots on the chart to No. 2, with sales of 74,000 units, according to figures from Nielsen SoundScan. 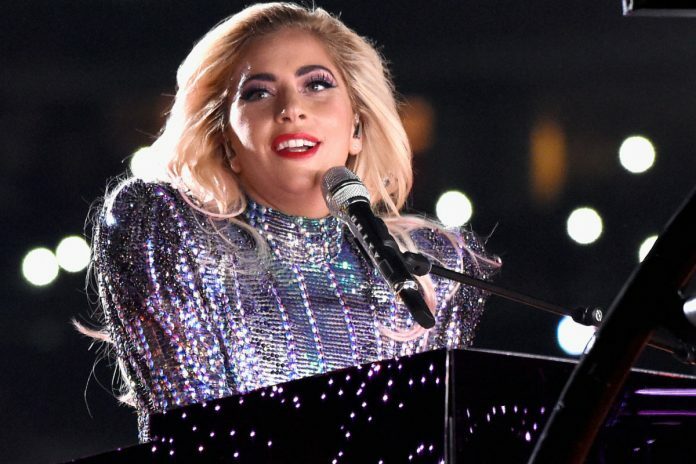 Gaga gave a solo performance at the Feb. 5 National Football League Super Bowl championship, singing a medley of hits after flying off the roof of the stadium to the stage while suspended on cables. The football game and halftime performance were watched on television by more than 110 million viewers. Gaga’s set also provided a massive boost for her earlier albums. Her 2008 record “The Fame” reentered the chart at No. 6 with 38,000 units sold, while her 2011 album “Born This Way” landed at No. 25 with 17,000 units sold. Gaga, 30, topped the Digital Songs chart, which measures online song sales, with her new track “Million Reasons” selling 149,000 copies. Her earlier hits such as “Born This Way,” “Bad Romance” and “Poker Face” also experienced big boosts on the singles chart. Despite Gaga’s Super Bowl boost, California rapper Big Sean took the No. 1 spot on the Billboard 200 album chart this week with “I Decided,” which sold 151,000 units in its first week. It ousted last week’s chart-topper, hip hop trio Migos’ “Culture,” which dropped to No. 3. New albums in the top ten of the Billboard 200 chart include country singer Reba McEntire’s “Sing it Now: Songs of Faith” at No. 4, the soundtrack to the hit Broadway play “Dear Evan Hansen” at No. 8 and “The RCA-List, Vol. 4,” a compilation of current hip hop hits, at No. 10.